Yes, Frank Sinatra, Chicago is a hell of a town! My sister moved to Chicago in January and ever since I’ve been so excited to really experience the Windy City with her. There is more than plenty to do, and although we experienced a pretty rainy weekend, we packed a lot in. And by a lot, I mean a lot of eating! What can I say, food is one of my favorite ways to experience a city! Here how we ate and played our way through the city (with a few added suggestions!). Enjoy! 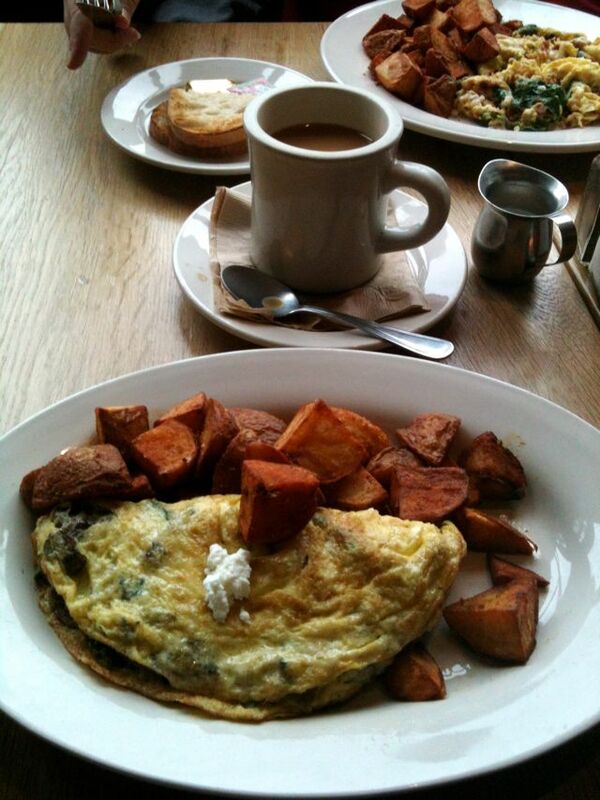 Breakfast — we started fresh and green at Uncommon Ground. I ate one of the best omelets I’ve had here. Their menu changes frequently because they use seasonal local and organic ingredients, but the one I had was filled with asparagus, goat cheese, and mushrooms. Super yum and I was full until about 3 p.m.! Lunch — OK, not really “lunch,” but Uncommon Ground was so filling, we sipped on some Argo Tea. 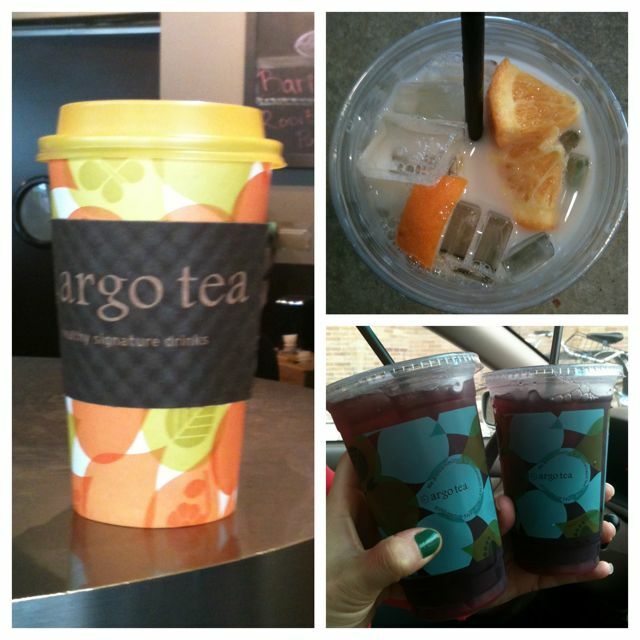 Throughout these two days, as you can see, we had Argo Tea THREE times! Can you tell we love this place? It’s similar to Starbucks, but instead of coffee-based concoctions, they use tea. I had a hot Chai tea latte, a Teana Colada (chamomile, coconut milk, pineapple juice), and hibiscus tea squeeze. There are locations solely in Chicago and New York City. Minneapolis needs one STAT! 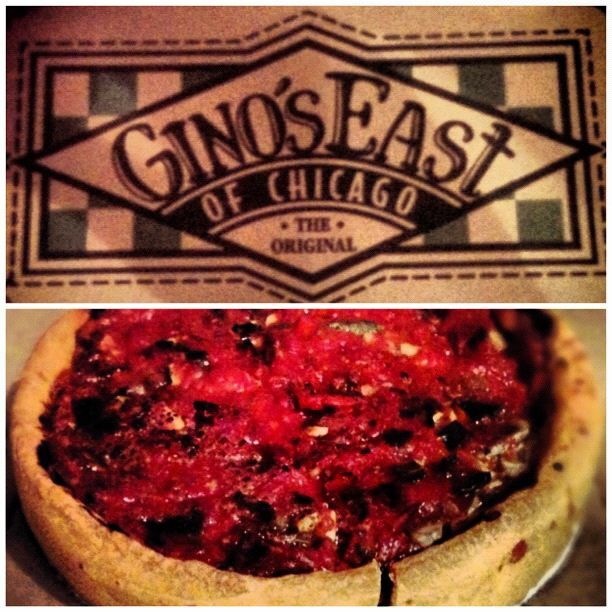 Dinner — Gino’s East — the one thing I needed to sample during my stay was deep dish pizza. My sister has had plenty of time to find her favorite, so we ordered from Gino’s. We sampled the vegetarian deep dish, and although I thought we should order a medium, the small was plenty for two…that thing weighs at least 5 pounds! I’ve heard great things as well about Lou Malnati’s so I’ll have to try that when I’m back in town! Entertainment — The Second City. There is no excuse if you are in Chicago, you must see a comedy show, improv, or stand up at The Second City! If you love Saturday Night Live, you will love this. We got to experience the 100th Revue and for $23, you get to genuinely laugh for 90 minutes. Awesome. Breakfast — Disclaimer: we did not actually eat here (but my sister has). Marmalade is my number one choice of breakfast destinations when I get back. They had me at Dolce Vita: Nutella filled crêpes with fresh seasonal fruit, drizzled with chocolate syrup, topped with hazelnut cream, and sprinkled with mixed nuts. Yes please. Lunch — Quartino Ristorante & Wine Bar was a great stop after five miles of walking around the city. We noshed on paparazzi pizza and shared some red sangria. Nothing like a little sangria to ease your aching feet after a long day of walking! Dinner — Still hungry from all that walking, we were craving chips, guacamole, and margaritas! 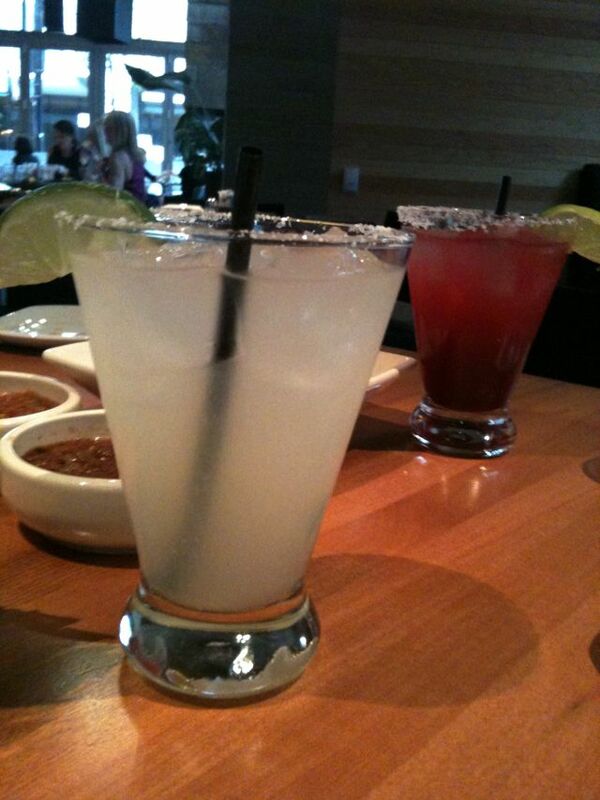 We ate at Cantina Laredo, a new authentic Mexican restaurant in the heart of downtown. There is nothing more satisfying than great sisterly conversation and margaritas! I could do that every night. Oh and, if you happen upon this place, order the enchiladas Veracruz, tons of veggies, chicken, and cheese! Entertainment — Lincoln Park Zoo — it’s free, it’s open every day of the year, and there are plenty of adorable animals to ogle! Bring an extra dose of patience. If Google Maps says it’s going to take 15 minutes to get somewhere in Chicago, plan on at least doubling that! Totally touristy, but Shedd Aquarium is amazing. I went once when I was a child, but I look forward to seeing all the fishies again! Looking for more suggestions? Check out Metromix Chicago! Caitlin and my cousin and her husband work at Second City! They are great at improve there! Glad you enjoyed it so much!